There seems to be one person who has rapidly taken over the world: Meghan Markle. 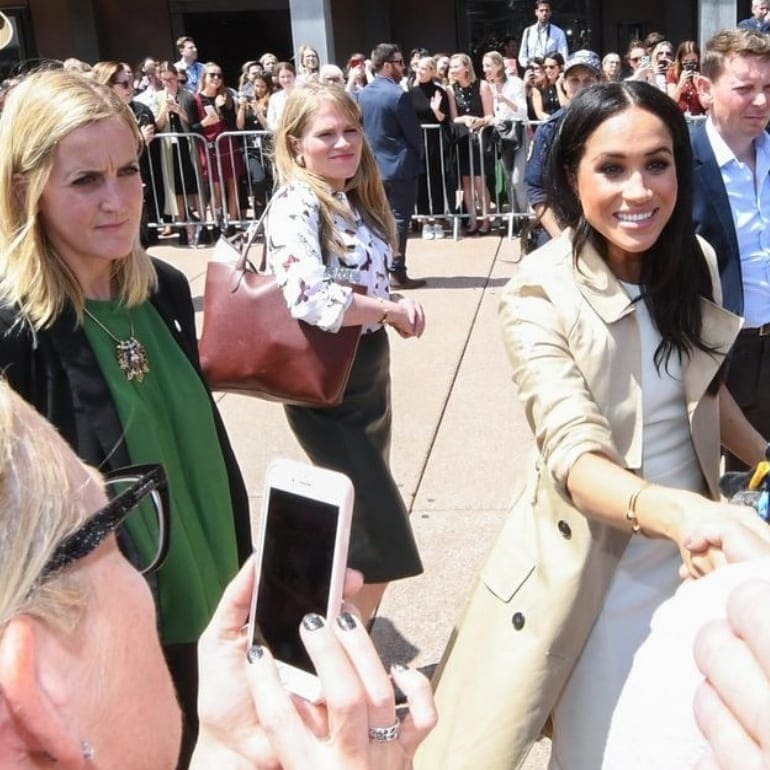 Although the former actress rose to fame thanks to her time in the legal drama series Suits where she played the part of Rachel Zane, this star has since become a household name thanks to joining the Royal Family. It seems as though Meghan was destined for a life in the limelight thanks to her father, Thomas Markle, who has worked on many production sets over the years. However, no one ever expected that she would meet and fall for a real-life prince. Now, this celeb is about to have a whole new impact on the world. As well as all of her royal duties, Meghan has also been causing a stir thanks to the recent news that she is expecting her first child. 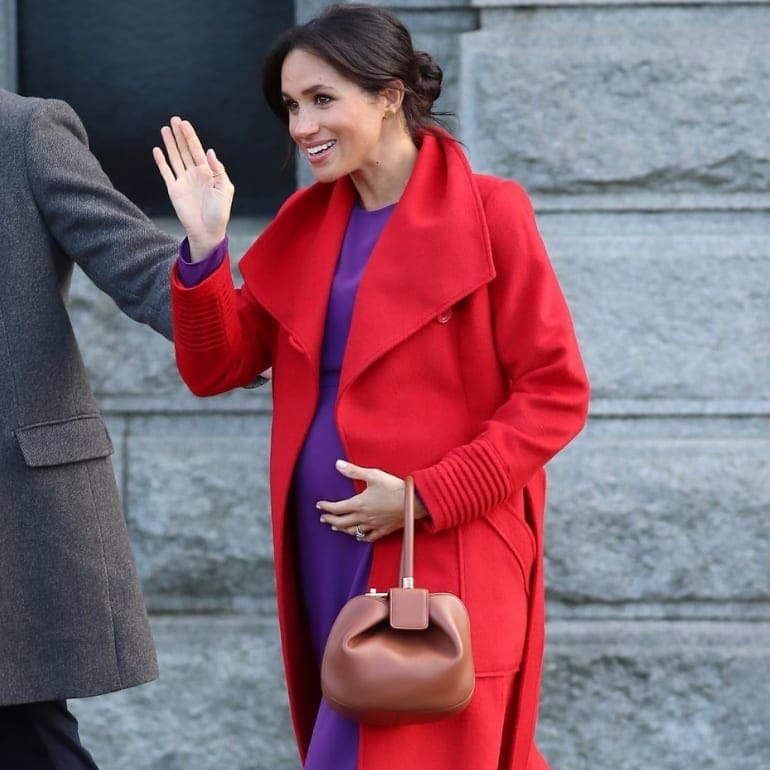 Amazingly, Meghan Markle just gave away her baby’s due date, too. 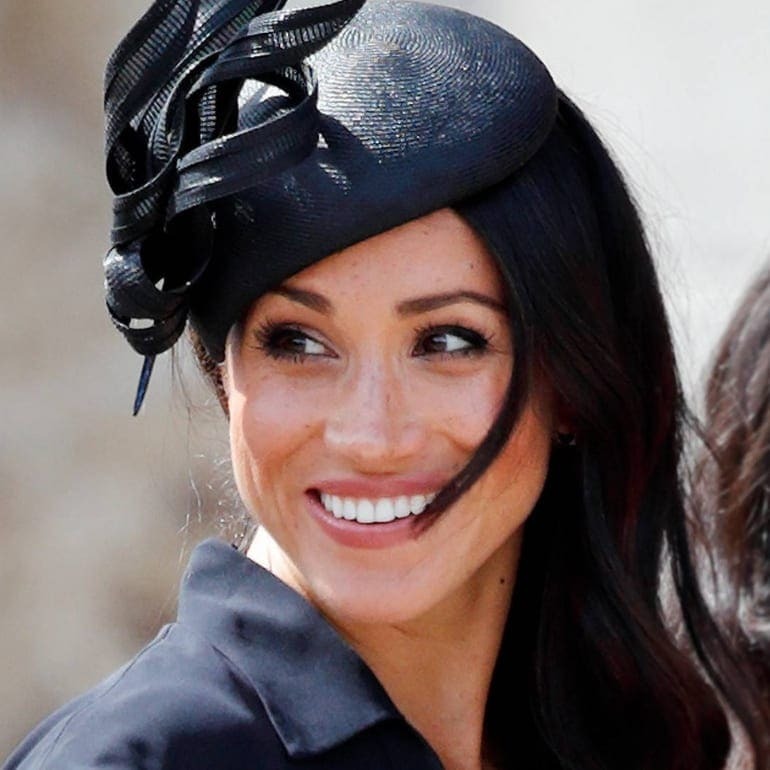 Meghan Markle has been on our screens for many years, and now it looks as though she is becoming the next best star of the Royal Family. She joined the prestigious family back in May 2018 after tying the knot with Prince Harry. Their union was about to have a massive impact on the members – and the rest of the world. As well as the Markle Effect taking over the world, Meghan had some major news to share about the growth of her new family. Although many Royals like to keep their pregnancies within the family, could Meghan have just given away her baby’s due date? It was back in October 2015 that Meghan and Prince Harry had some significant news: they are expecting their first baby! That’s right; the newlyweds were settling into their married life when just five months after walking down the aisle they learned that they would soon have the sound of little feet running around the palace. Kensington Palace took to social media where they released an official statement with the news. 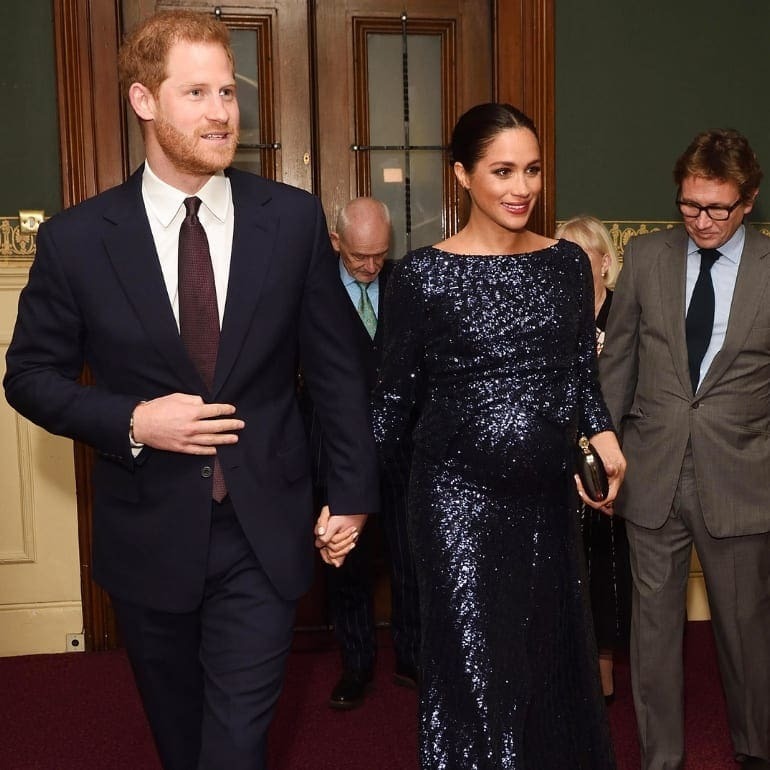 It turned out the Prince and the Duchess were expecting their new arrival in spring 2019. 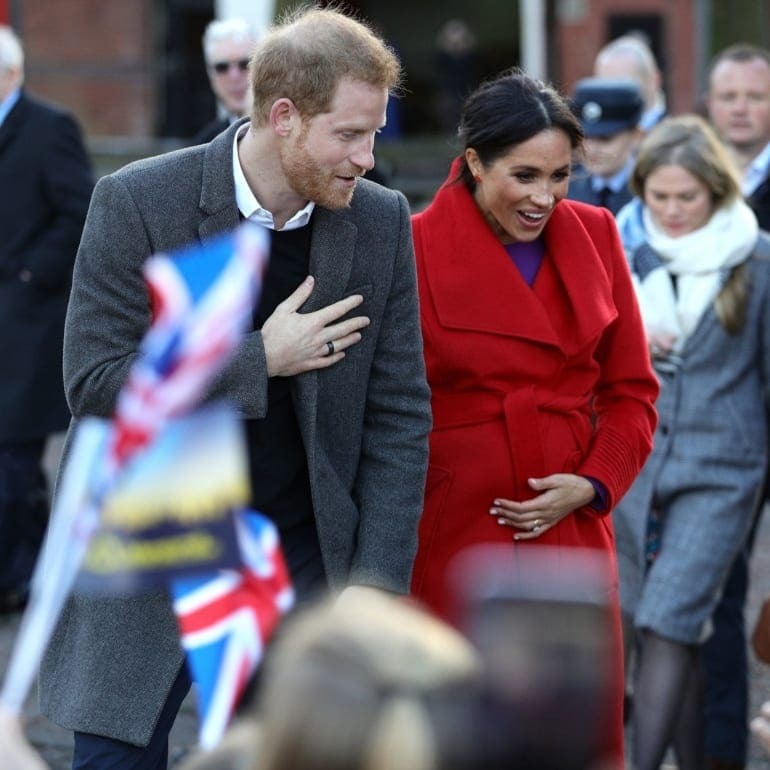 However, people were soon buzzing as they tried to figure out when Meghan could be due. The couple embarked on a tour of Australia and the surrounding countries, just as Prince Charles and Diana had all those years before, when the news broke to the world. 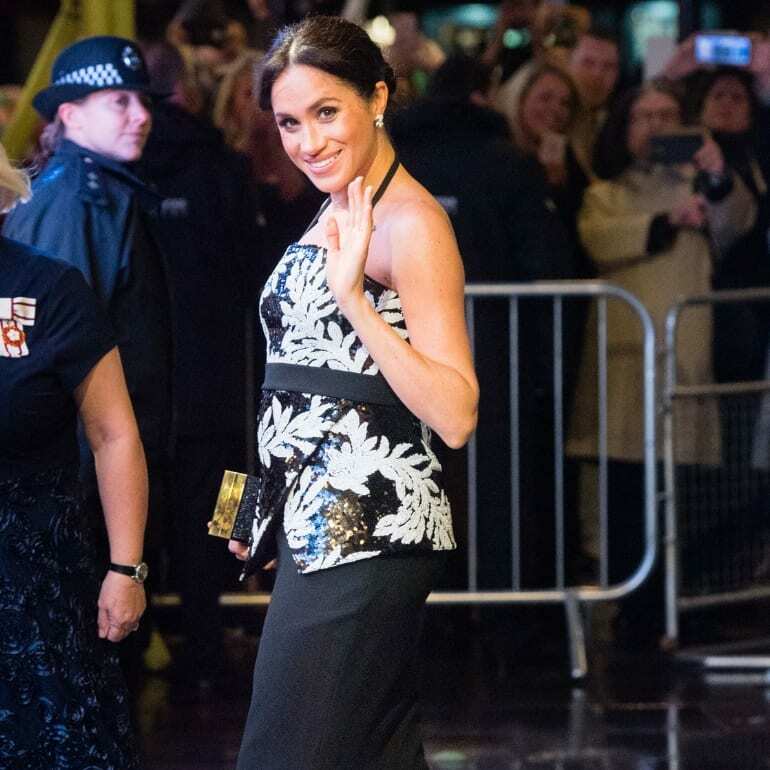 Meghan soon had all eyes on her – and her growing bump. There were many reports that Meghan decided to tell the rest of the Royal Family about their good news and Princess Eugenie’s wedding to Jack Brooksbank. It’s said that both the bride and groom were hurt by their announcement, but things might not be all they seemed. Some insiders believe that Meghan had told the family weeks before and this was merely the first time she had seen many of her new family in person. 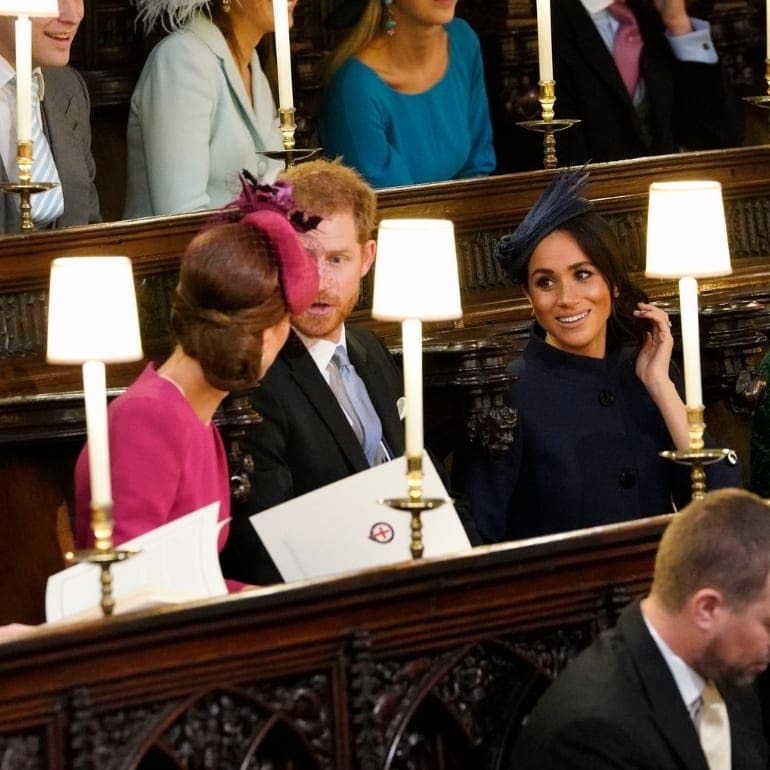 Either way, it didn’t appear to sit well with the others when Meghan skipped the reception and Harry followed suit shortly after. Apparently, the couple were preparing for the long flight they had halfway around the world. Many members of the public began to wonder if the pair were trying to shift the spotlight into their looming news. Almost as soon as the world learned of their news, people began to put together the pieces that would give them a clue as to when we would meet the newest addition to the family. Many expecting mothers wait until various times in their pregnancies to tell others of the news. However, many use their 12-week scan as they typically know they are three months into a healthy pregnancy by this point if there have been no warning signs so far. This was our first clue. Doing the math meant that Meghan could be due to give birth as early as March 2019. Although it looked as though the couple weren’t going to be giving away the actual due date, the world couldn’t help but guess when the family would be welcoming the baby. Now, the countdown was on as the days ticked by in Megan’s pregnancy. It seemed as though announcing her news was about to have a significant effect on Megan’s life. Thankfully, the Duchess was cleared for her trip across the world, but she was about to have a few extra faces with her. That’s right; Meghan was about to have more security guards than ever before. However, there was a good reason. Many feared that the Royal was now in even more danger as she was expecting a little one. Many bodyguards to the stars have spoken about how announcing this news could mean people want to get closer to the celebs than ever before. They would have to work hard to ensure Meghan, and her bump, were protected from the crowds. Plus, expecting a baby means that Meghan could be more vulnerable to an attack. Everyone needs to keep a close eye on the Royal. Although many fans were overjoyed at the news, others began to question if Meghan could really be pregnant at all. People took to social media where they started to compare side by side photos of the Duchess throughout her pregnancy. 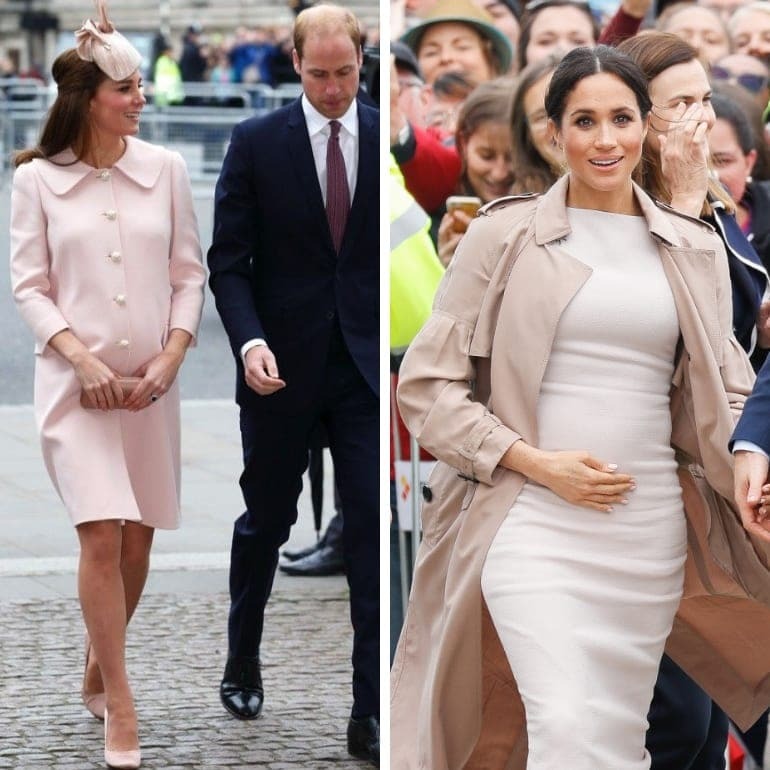 Some believe that she is wearing a fake bump as they feel as though Meghan often looks at different stages in her pregnancy from different angles. So why would she fake the news? People state that Meghan could be using a surrogate instead, but doesn’t want the world to know. Others believe there is no way that Meghan and the Royal Family would ever be involved in such a giant cover-up. After all, with so many eyes on the family, they would have to work extra hard not to slip up and reveal their secret. There is a chance that Meghan could be wearing a maternity belt as they are often favored by expecting mothers who partake in a lot of walking or are due a heavy child. They can also be used by women pregnant with twins. Could this be the real reason? 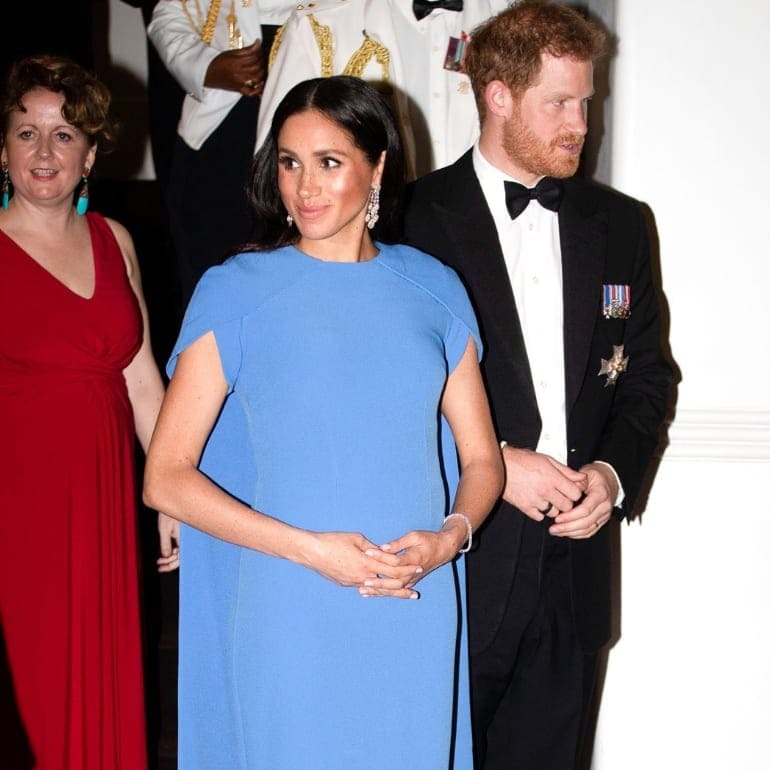 Many were quick to notice that Megan’s bump seemed to have rapidly grown by the time the Duchess made her surprise arrival at the British Fashion Awards in December 2018. Now, there were a whole new set of rumors. 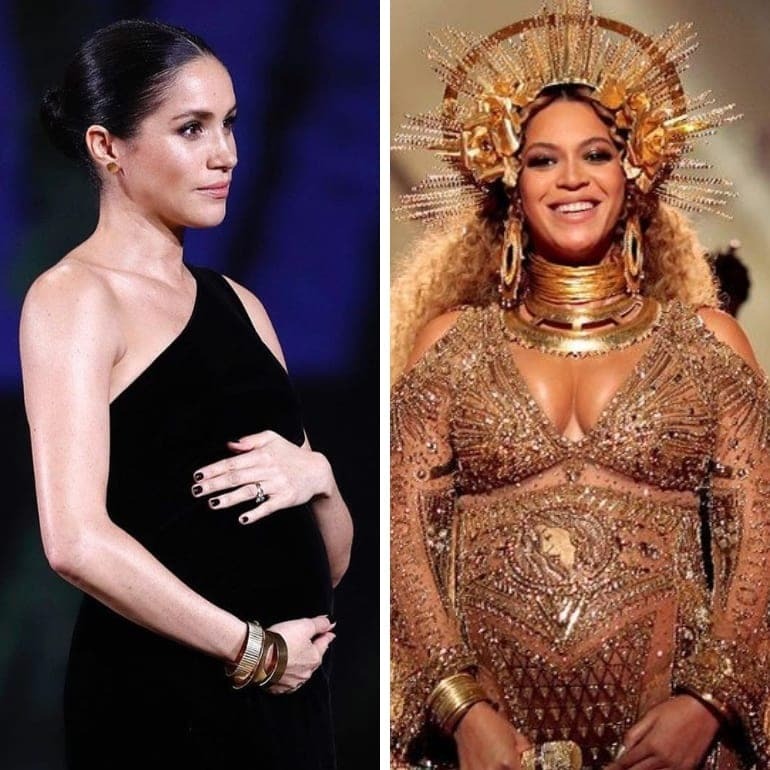 People on social media started to post photos of Meghan next to other celebs that have carried twins, such as Beyoncé, as they noted the similarities in their size. 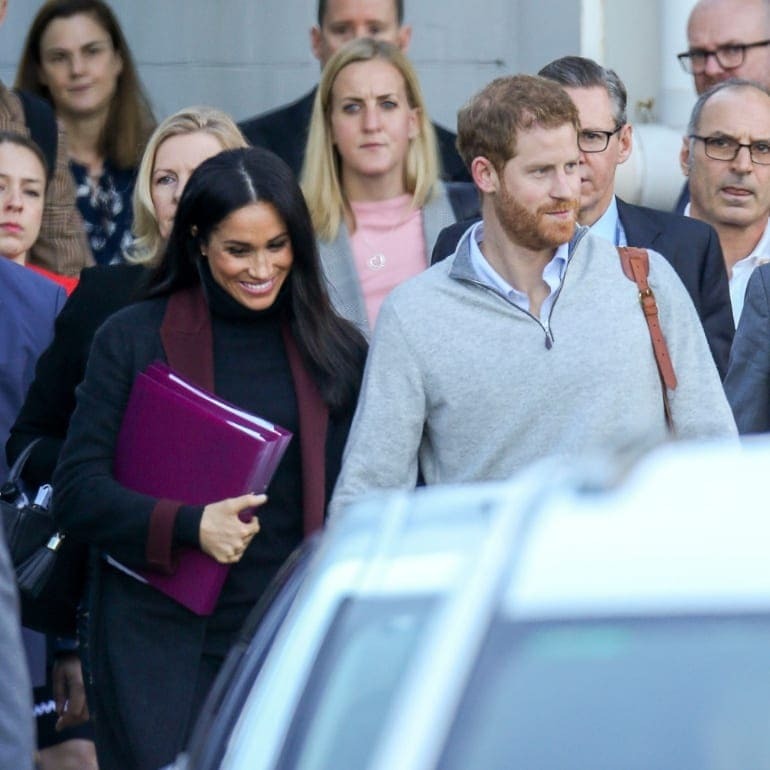 The proof appeared to be there; Meghan and Harry could be expecting two babies. However, the couple never confirmed the news. One thing that many people have noticed throughout Megan’s pregnancy is how differently she has behaved to her sister-in-law, Kate Middleton. Kate would rarely talk about her bump during any of her three pregnancies. Plus, it was unlike Duchess to touch her stomach when out in public. There could be a good reason. Body language experts believe that Kate prefers to keep her private life away from the media, and wanted to prepare for a life when she is married to the king. She needed to maintain business as usual. 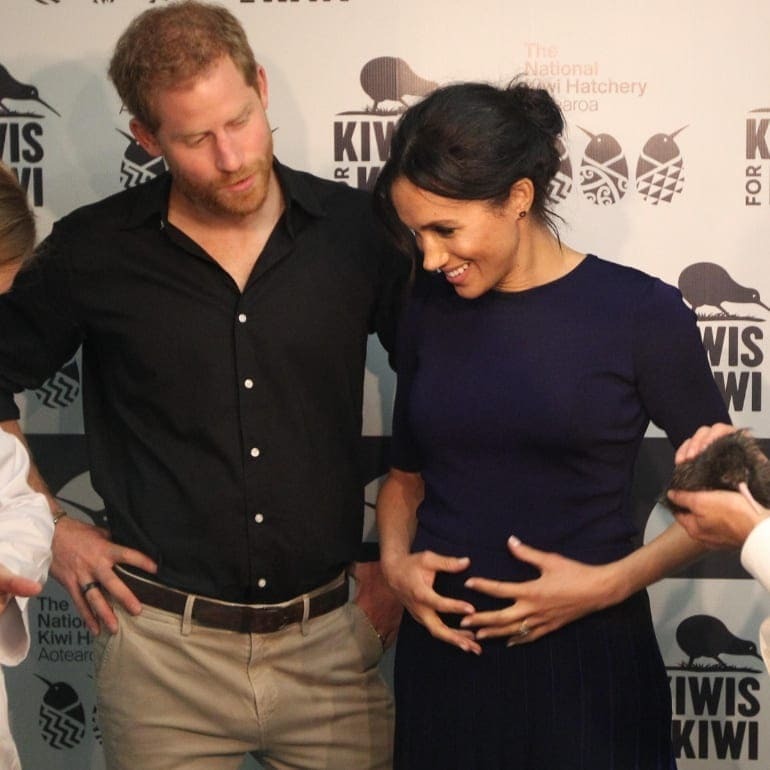 On the other hand, it appears as though Meghan loves to touch her baby bump and is often seen with her hands on her stomach. So why the differences? Many feel as though Meghan is a rule-breaker. However, it looks like she could be a rule-changer instead. Yes, the Duchess appears to touch her bump as a way to become closer to the public whenever she is on official visits. Plus, her pregnancy could be used as a conversation starter for the Duchess. It was one conversation with the public that was about to give away the game. Many fans have been desperate to get close to Prince Harry and Meghan as they want to learn all about their newest addition. It appears as though the couple are continually asked about the pregnancy. It was a trip to Birkenhead, Merseyside in the U.K. on January 14, 2019, that was about to give us our first clue. Yes, Meghan confirmed that she was six months pregnant. That wasn’t all. It looked as though the Duchess was about to be more open with the public than anyone believed. Meghan continued to state that she was due sometime around the end of April or the beginning of May. This meant that all the previous guesses of her due date had been a lot earlier than expected. Although Meghan added that her baby would come when they were ready, she confessed that both she and Harry are now prepared to meet their little one. 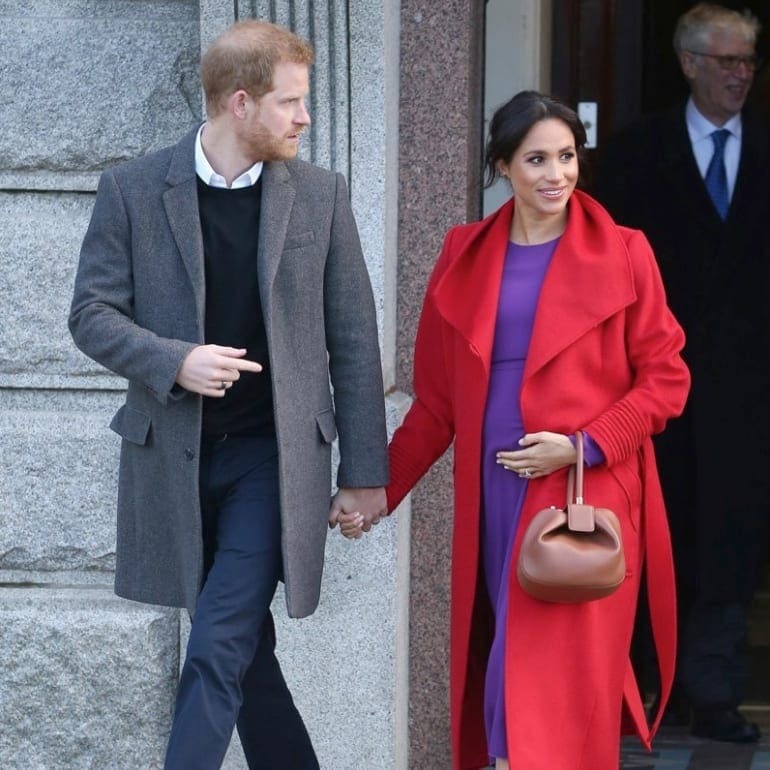 They might know when they can expect their little one, but it seems as though Meghan and Harry are yet to learn the gender of their new baby. That hasn’t stopped many people from placing bets before the big day. However, one betting shop had to stop taking any guesses as everyone suddenly began to think the pair were expecting a girl. It looked as though the world could know something they didn’t. Meghan and Harry’s trip could have revealed more than we first thought. While Meghan and Harry might not know whether they will be having a boy or a girl, it seems as though the Duchess is already prepared for one of her arrivals. It turns out that Meghan has bought a present for her future daughter. Yes, the actress had just learned that Suits would be picked up for a third season when she wanted to celebrate. Meghan chose a two-tone watch and had “To M.M From M.M” engraved on the back. Meghan feels this will always give her and her daughter a connection. It was on the same trip to Birkenhead that Harry was overheard having a conversation with some members of the public. The Prince was asking a mother how she spelled her daughter’s name, Lily. Could the royal couple really know they are expecting a future daughter but want to keep the news a secret from the world? Both Meghan and Harry have reported how they want their baby’s gender to be a surprise, but sometimes the temptation of finding out the truth could have been too much. As soon as Meghan and Harry’s new baby is born, they will sit at number seven in line to the British throne. 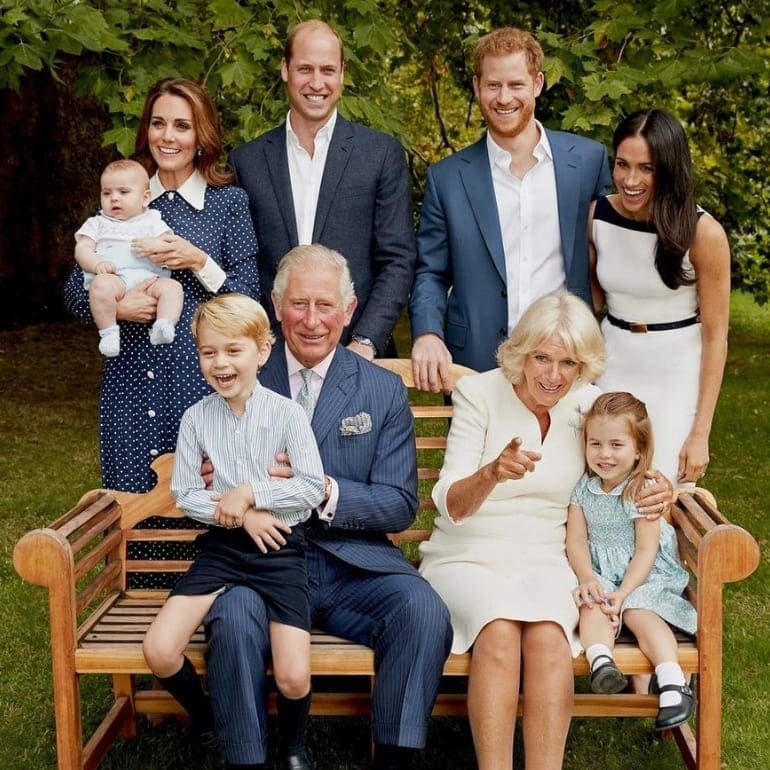 This comes after Prince Charles, his son, Prince William, his three children: Prince George, Princess Charlotte, and Prince Louis, and their dad, Prince Harry. There is still some confusion about the title of the newborn. Royal tradition states that a boy would be titled the Earl of Dumbarton before they inherit Harry’s title, the Duke of Sussex. If the couple have a daughter, she won’t be a Duchess unless she marries a Duke. However, Queen Elizabeth II made some exceptions when it came to Kate and William’s children as she issued a new Letters Patent. This meant that George, Charlotte, and Louis could all have their own royal titles. It looks as though it could ultimately be the Queen who gets to decide the new title of the little one, and could mean another new Letters Patent if she wants to break the tradition once again. Only time will tell if we will have a new prince or princess in the Royal Family.